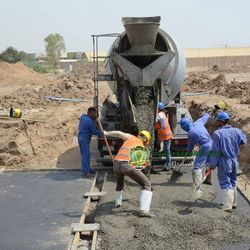 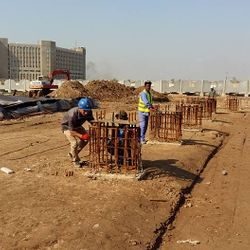 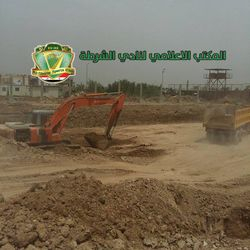 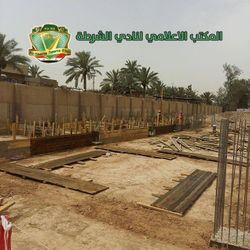 Al Shorta Sports City Stadium is the name of Al Shorta's new home ground that is currently under construction. 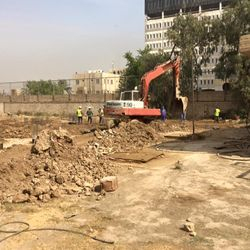 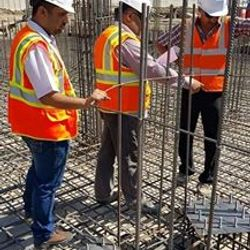 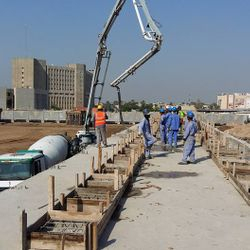 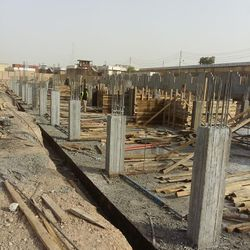 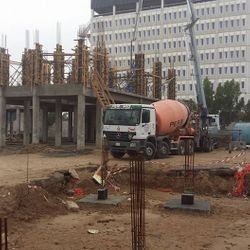 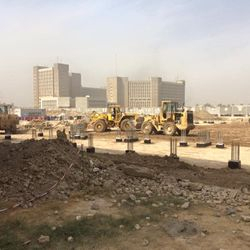 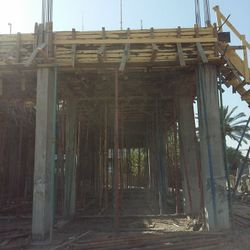 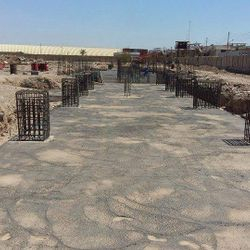 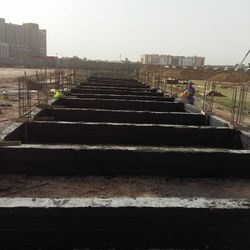 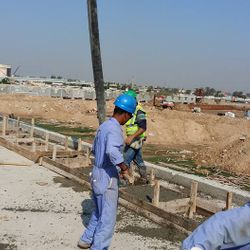 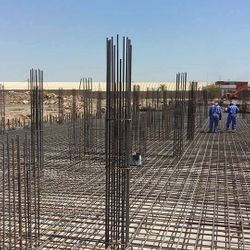 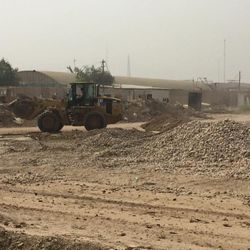 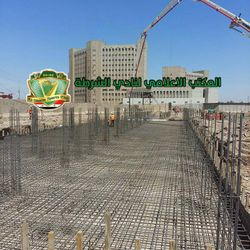 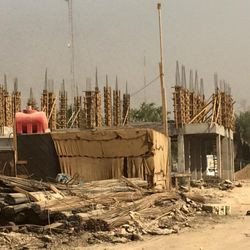 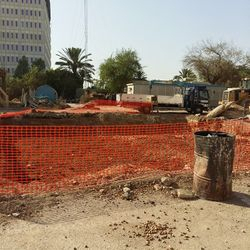 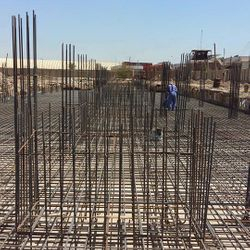 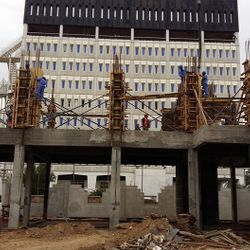 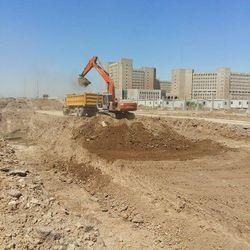 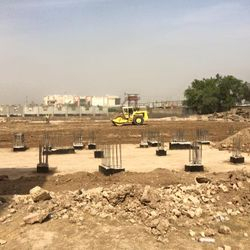 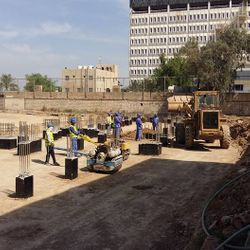 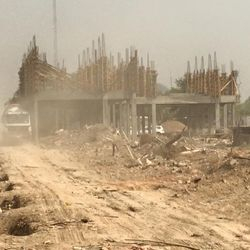 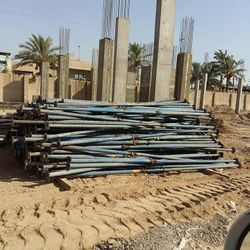 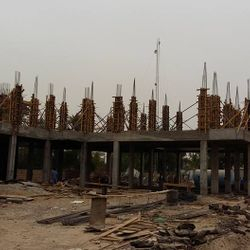 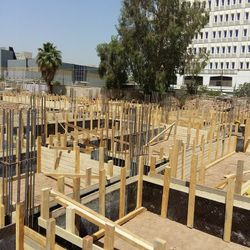 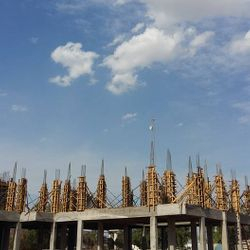 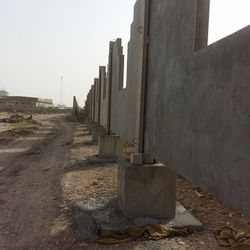 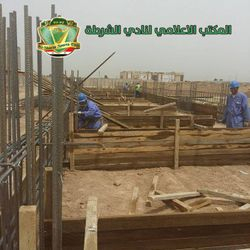 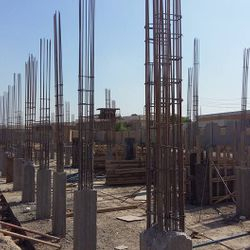 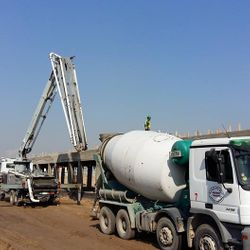 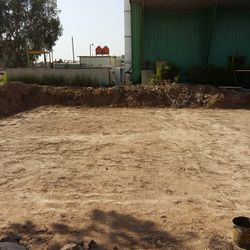 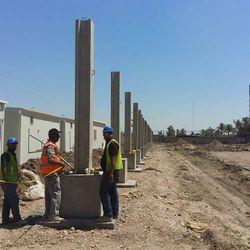 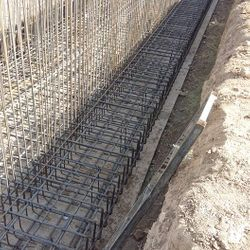 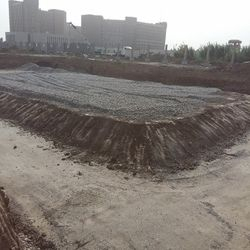 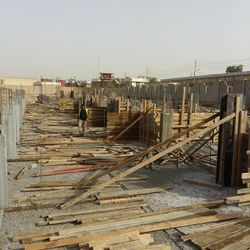 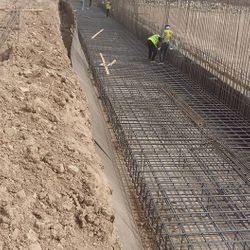 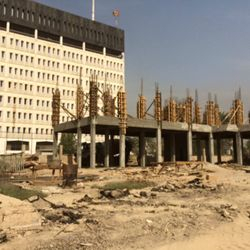 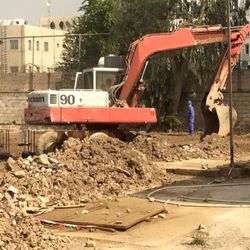 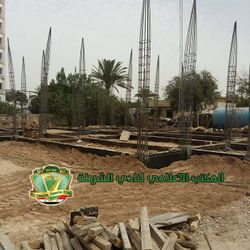 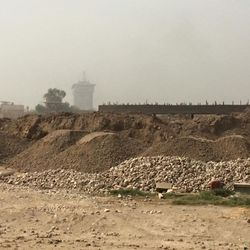 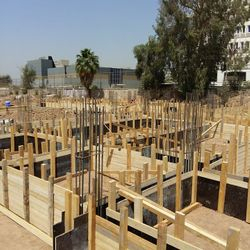 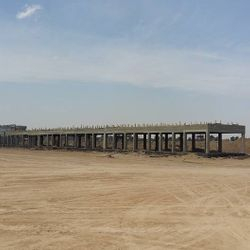 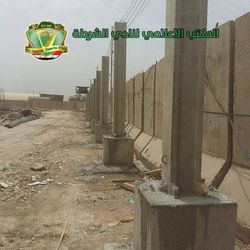 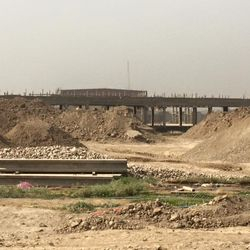 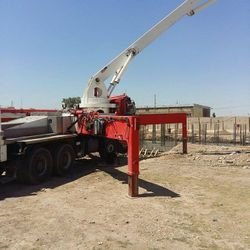 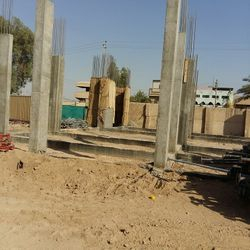 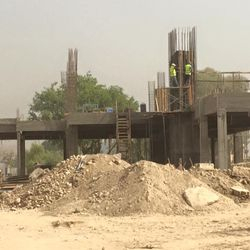 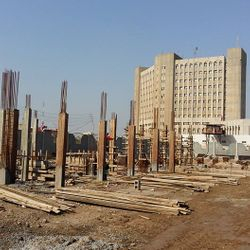 On this page, you can find updates on the progress of the construction, and pictures of what the sports city will look like once it is completed. 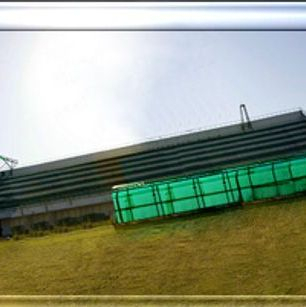 AKG Engineering have released a video showing what Al Shorta Sports City will look like once it is completed. 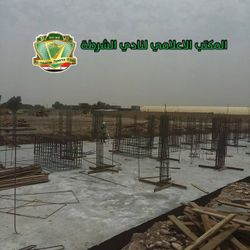 This video is shown above. 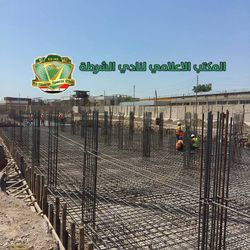 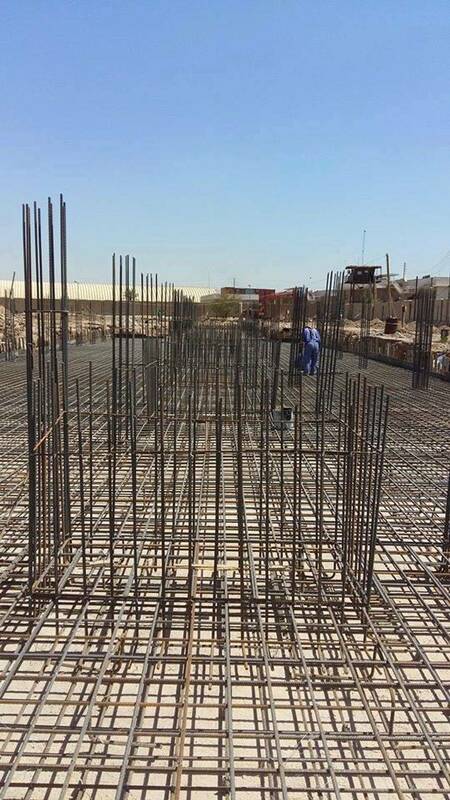 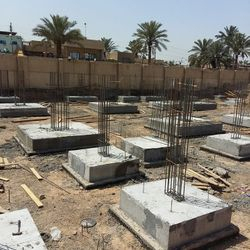 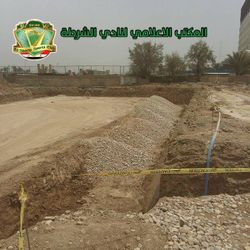 Al Shorta will use Al Shaab Stadium to play their home games in the league and cup whilst their new stadium is being constructed. 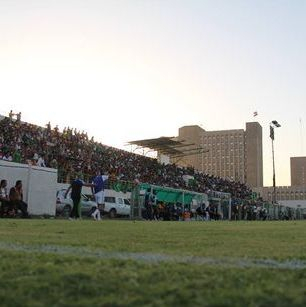 The sports city includes an all-seater stadium of 10,218 seats. 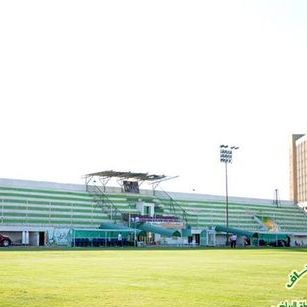 The stands will have purple and green plastic seats (a testament to the great Aliyat Al Shorta team of the 1960s and 1970s) and a some white seats on the main stand will spell out the words 'Police Club' alongside the club's name in Arabic. 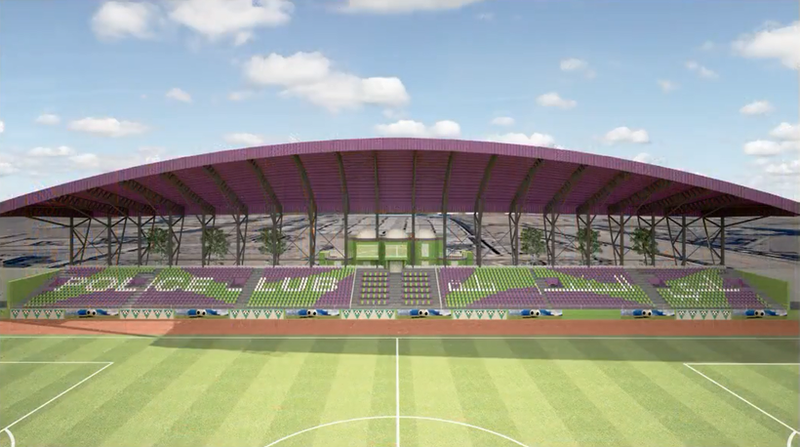 The main stand will have a purple roof over it. 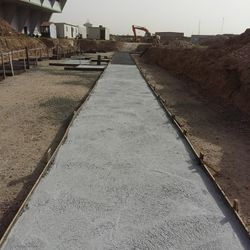 Next to the stadium will be a training field where players will train every week and this training field will have an athletics track around it. 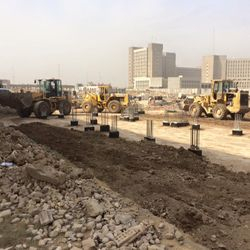 Also at the sports city will be an indoor swimming pool with 1,500 seats, a multi-purpose closed hall with 2,500 seats, a full-quality relaxation club (with sports facilities), restaurants, theatres, meeting areas and a shopping centre among other things. 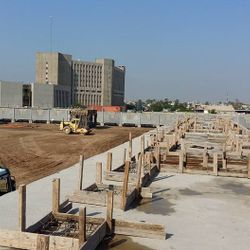 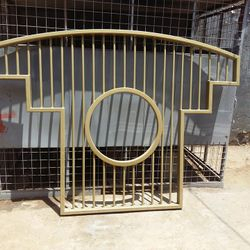 To see a picture gallery of what the sports city will look like as well as more images showing its construction, click here. 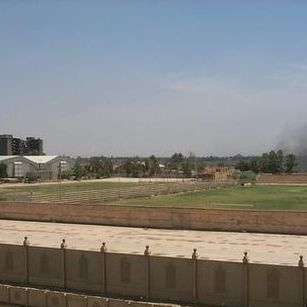 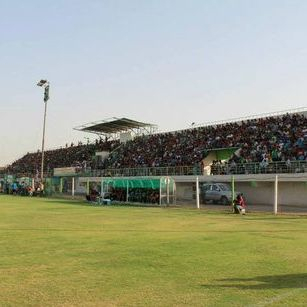 Al Shorta Stadium was the name of Al Shorta's old home ground. 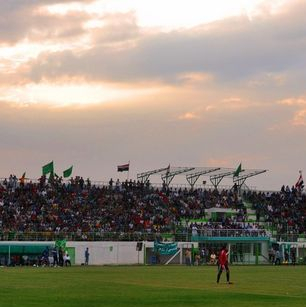 It held approximately 7,000 people. 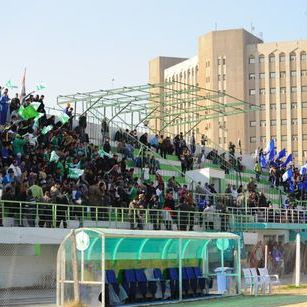 The white hall on the side of the field can hold approximately 2,000 people. 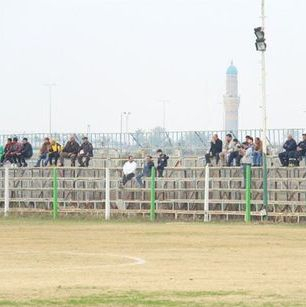 The stadium had no seats, but instead there were stairs on each side of the playing field and spectators sat or stood on these stairs. 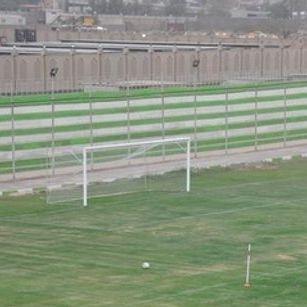 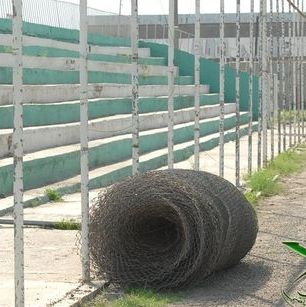 It was built by volunteers and Al Shorta fans and staff at the club, making the stadium even more special. 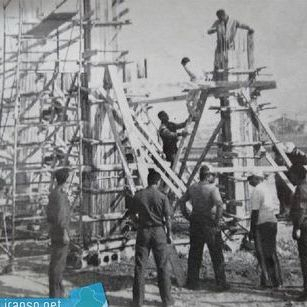 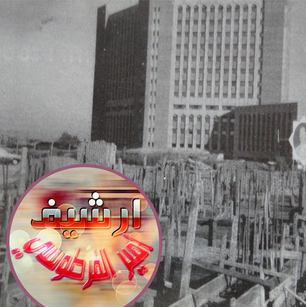 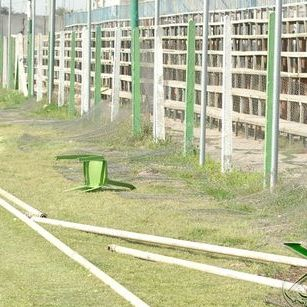 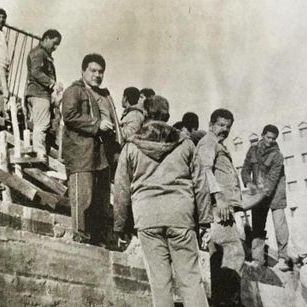 Abdul-Kadir Zeinal, Al Shorta's manager from 1975 to 1979, was the man who came up with the idea of building the stadium and the supporters approved of the idea and helped to build the stadium. 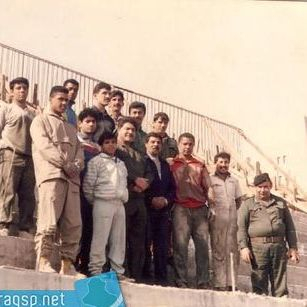 After a few years of construction, the stadium was opened in 1983. 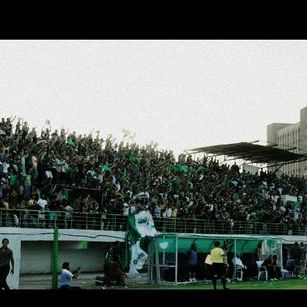 In 2008, the stands were painted green and white to match the club's colours. 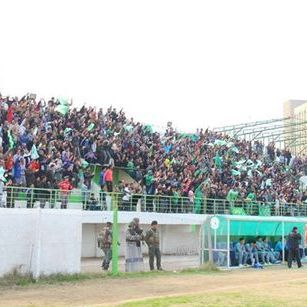 It was home to many great matches for Al Shorta and will forever remain in the hearts of Al Shorta's supporters. 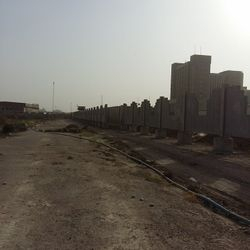 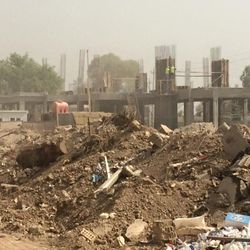 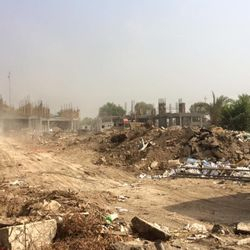 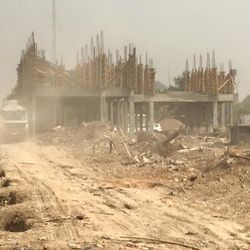 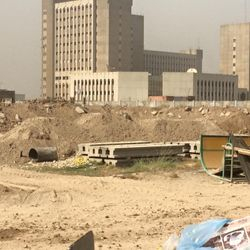 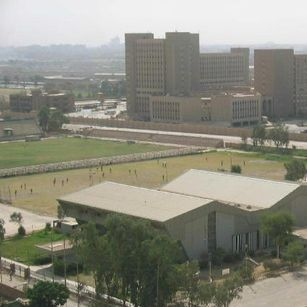 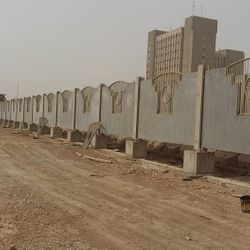 It was demolished in 2014 to make way for Al Shorta Sports City.